LG Electronics recently unveils the world's first largest television to date, the LG 105-inch Curved Super Ultra HD TV. LG brings to the Philippines the newest innovation of LG, launch at the Ayala Museum which was attended by media, bloggers and of course LG Elctronincs executives that personally introduced their latest product for maximum entertainment experience. LG 105-inch Curved Super Ultra HD TV, has an spectacular resolution of over 11M pixels (5120 X 2160), that's almost five times more than the Full HD TV. The superior picture quality of the TV is complemented y LG's True 4K Engine Pro, that eliminates visual errors and IPS 4K Panel, that provides consistent contrast, true-to-life colors and a wide viewing angle. "That means you don't have to move your TV anywhere your eyes meets that screen, because you can now have a superior quality of viewing at any angle you are from the television". LG 105-inch Curved Super Ultra HD TV, has a built-in 7.2-channel, 150W sound system, that will secure a super power audio experience. LG's ULTRA Surround concept developed in partnership with audio manufacturing leader Harman Kardon. It performs like in the movie theater because of the multi-channel system harmonizes with the TV's 21:9 CinemaScope screen with a sonic performance. 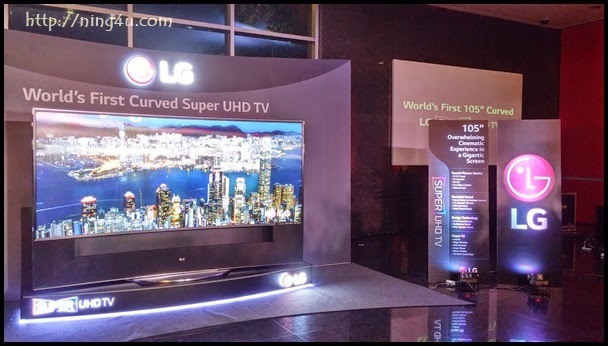 "Party or not, LG 105-inch Curved Super Ultra HD TV will for sure, give you a different level of audio experience, proven that, at the launch in which I thought I was inside a cinema"
LG 105-inch Curved Super Ultra HD TV, has a satisfying experience via LG SMART TV, that is centered on webOS platform. 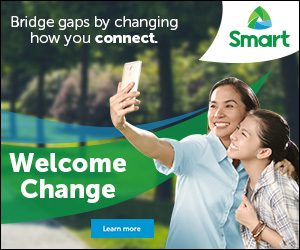 It makes everything simple from switching between channels or contents like shows, apps and services or connecting external devices. With the great help of BeanBird charater, webOS makes the initial setup and connecton process faster and more enjoyable. "You can make your favorite entertainment or fast time in one, like for example watching your favorite movie on the main frame and surfing the net or Facebook-ing on the other side, very SMART TV right"
For more information and details about the one-of-a-kind and largest TV to date, LG 105-inch Curved Super Ultra HD TV, visit www.lg.com/ph and you may follow them on social media like Facebook/LGPhilippines, Twitter and Instagram @LGPhilippines.